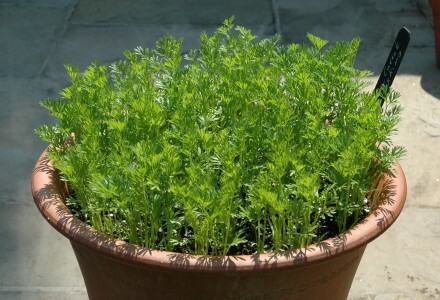 I have never tried growing carrots in pots before, but last year a number of my carrots struggled in my veg beds for a variety of reasons, so this year I decided to give it a go. These Carrot Eskimo appear to be coming along nicely in these large terracotta pots and certainly look nice growing in the sun. I plan to thin them gradually over time by using small ones up early, therefore leaving room for some to grow larger.